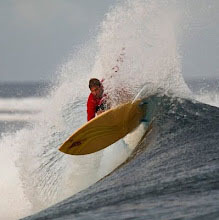 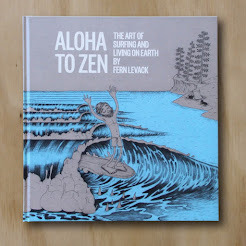 Simon Anderson is a professional surfer and a shaper. 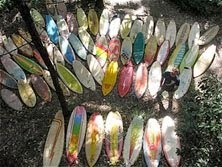 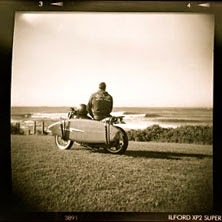 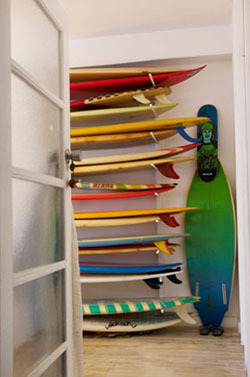 He is the man credited with developing the tri-fin surfboard design that he called the 'Thruster'. 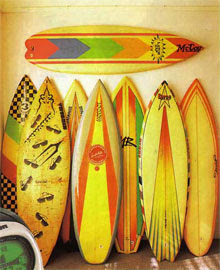 In 1981 Simon was frustrated with the limitations of the twin-fin design, in particular the way it would slide out, and he, at 6'0" liking to put a lot of power into his turns. 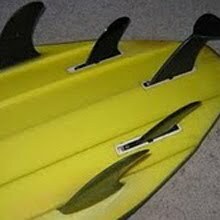 Simon's tri-fin design solved this, adding more stability and allowing for greater control in the pocket. 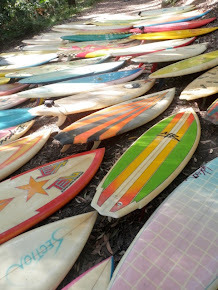 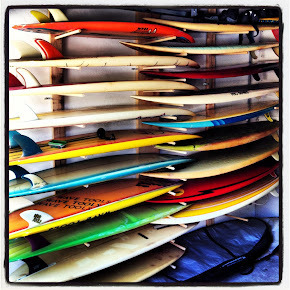 The three fins combined the best features of the single and twin-fin designs, and naturally became hugely popular. 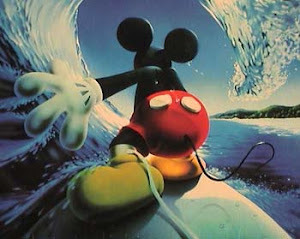 His tri-fin design was the biggest innovation since fibreglass and polyurethane foam. 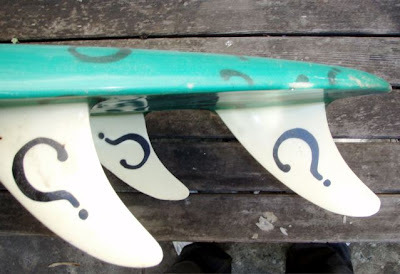 This rounded pin tail board is an early examples of his design as evidenced by the rear fin that protrudes past the tail and the angled channels on the bottom. 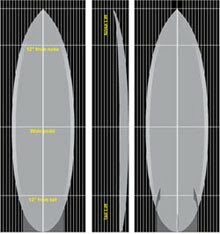 Features that were modified within the first rear of the designs manufacture. 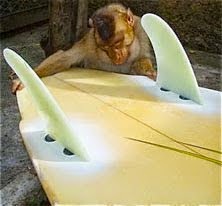 It was made for a pro surfer, sponsored by bite clothing.
? 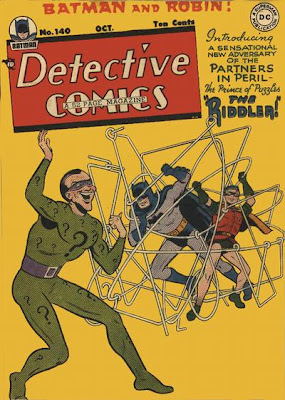 But who was he?
? 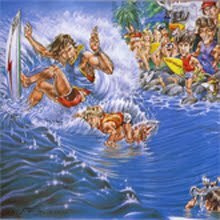 What happened to bite clothing and their baggy shorts?
? 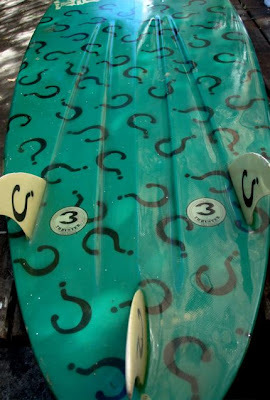 Who shaped this board?
? 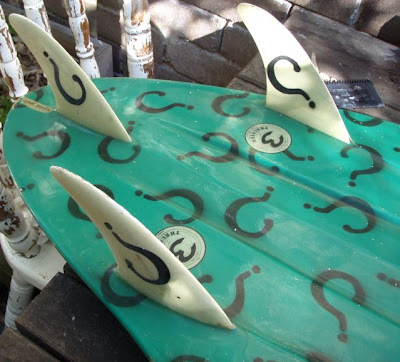 Why the question marks?
? 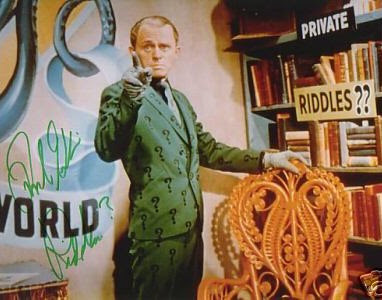 A a fan of Frank Gorshin's Riddler character from the Batman TV series? 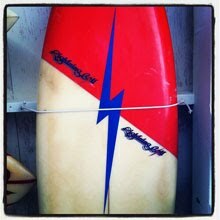 I had an Energy thruster in the eighties with similar belly channels shaped by Frank Latta.